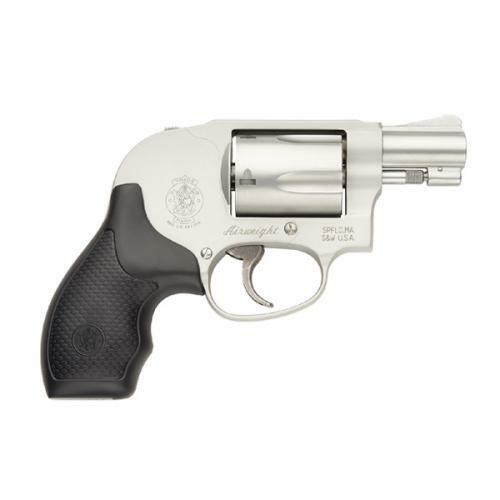 S&W MODEL 638 38SPL+P 1 7/8"
SA/DA. Small frame. Uncle Mike's Boot grips. Aluminum alloy/stainless steel. Satin stainless finish. Internal lock. Serrated ramp front, fixed notch rear sights. Smooth target trigger. Shrouded hammer. Wt. :15 oz.